Mercedes's expanding compact car lineup is boosting sales. The CLA Shooting Brake, shown, arrives in European dealerships in March with prices starting at 29,809 euros ($34,000) in Germany. It is the brand's fifth compact model. STUTTGART -- Daimler's fourth-quarter operating profit rose 10 percent as new model launches helped the carmaker to raise sales and profit margins at its Mercedes-Benz division. Operating profit, or earnings before interest and taxes from ongoing business, increased to 2.82 billion euros ($3.2 billion) from 2.56 billion euros a year earlier, Daimler said in a statement today. The fourth-quarter operating margin at Mercedes-Benz Cars, which includes the Smart minicar brand, rose to 8.3 percent of revenue from 7.5 percent in the same period last year. On a full-year basis the return on sales was 8 percent, up from 6.2 percent in 2013. Daimler eventually wants to reach a 10 percent margin from carmaking. Group sales advanced 11 percent to 35.7 billion euros. CEO Dieter Zetsche said strategic decisions taken years ago are now starting to pay off. "This progress is the result of consistent hard work. Daimler is on an upward curve," he said in the statement. Operating profit, or earnings before interest and taxes from ongoing business, will rise at least 10 percent in 2015, on pace with the fourth quarter, Zetsche told reporters today. The global rollout of a new version of the C class, Mercedes' best-selling model, helped the car unit raise its operating margin in the fourth quarter. Robust sales of the brand's expanding compact car lineup and the flagship S-class sedan are also boosting sales. 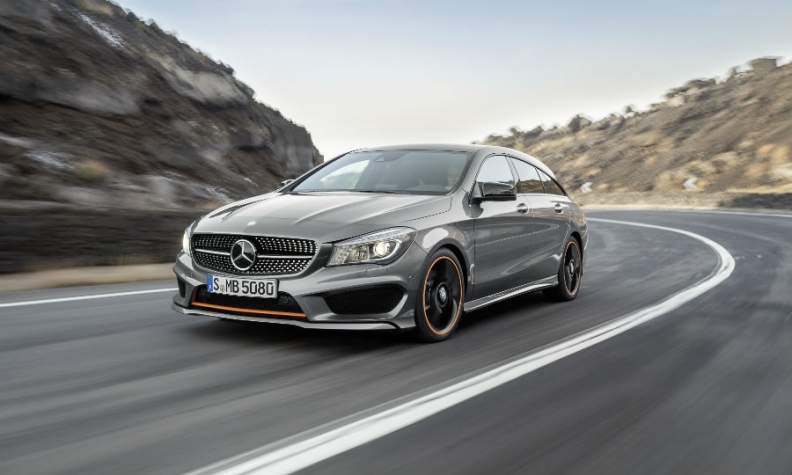 Daimler says deliveries will rise significantly this year as it rolls out four new or revamped SUVs including the GLE Coupe, as well as a $1 million Pullman version of the S class, the CLA Shooting Brake, its fifth compact model, and the Porsche-challenging, $129,000 GT sports car. "This year is the year of the SUV for us," Zetsche said in an interview with Bloomberg Television. "SUVs are very much in demand, so it's perfect timing." Chief Financial Officer Bodo Uebber said the company achieved about 85 percent of 2 billion euros in cost cuts planned at Mercedes by the end of last year. The cuts will be fully effective this year, Uebber said. Daimler said it would propose a dividend of 2.45 euros a share, the highest ever. Zetsche has vowed to overtake BMW and Audi by the end of the decade by bolstering the Mercedes lineup with 11 models that have no predecessor. Mercedes deliveries increased 13 percent to 1.65 million vehicles last year, a faster pace than the volume growth at BMW and Audi. Mercedes S-class sales doubled and compact-car deliveries rose 25 percent. Still, Mercedes trailed Audi by 91,090 autos and was 161,709 deliveries behind BMW’s namesake brand in 2014. Central to Mercedes's race to overtake its rival German luxury-car makers is closing the gap in China, where Mercedes will gain market share this year, Zetsche said. "Without success there, we can't be market leader," the CEO said. Mercedes will increase Chinese local production and employ 500 engineers in research, development and design there by the end of the year create vehicles closer to local tastes, he said. Deliveries, including a longer version of the mid-sized C class with improved legroom, should edge upward from 292,700 cars to at least 300,000 vehicles in 2015, Zetsche said. Audi parent Volkswagen Group is scheduled to publish fourth-quarter earnings on March 10, while BMW’s results are due on March 18.